Well, it is summer and the family decided to “take it on the road” so to speak. Our day started late as I still had to work, but we were able to get on the road around 1PM. 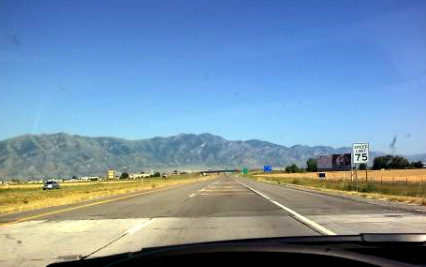 I thought I’d snap a picture while driving through Utah and share it with everyone. I still need to get the full size version out of my phone. We got as far as we wanted today, but still have a long way still to go.